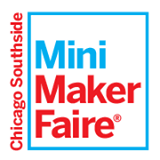 Chicago Northside Mini Maker Faire-- THIS SATURDAY! Maker Faire is the world's largest Do-It-Yourself festival, celebrating the inventions, technologies, arts, crafts, literature, science, hobbies, and ideas of anyone who likes to create. Chicago Northside Mini Maker Faire is a locally organized, grassroots event focused on inspiring students to work with their hands and show others to do the same. We welcome especially hands-on experiences, workshops, learning and teaching of any form, and young makers. Bring your friends, your families, and a sense of whimsy! Mikva Challenge Summer Job Application! You can apply if: You live in Chicago and will be between the ages of 16-20 on June 30, 2015. (You must be born on or before June 29, 1999!). You can be in high school, college, or out of school. The deadline is Friday, April 24th by 5pm! YOUmedia and Chicago Public Library's Teen Services Department will be hosting the second of a monthly college and career series at the Harold Washington Library Center. This isn't your typical college fair. We will have professionals, hands-on activities, raffles, vision boards, a step and repeat, and lunch! YOUmedia at HWLC is having a workshop showcase on Wednesday April 15th from 3:30-5 p.m. Please encourage your teens to attend and check out all of the programs we'll be offering over the next 10 weeks! We will have snacks for participants and teens will be able to do some hands-on work to get a feel for all of our workshops. Come put your design, engineering, and circuits skills to work at the Adler Planetarium's Operation Airlift on Saturday, April 18, 2015! At this design-engineering competition, teams of students will compete with each other to design and build the best possible remotely-controlled airship. Join us for this fun day, where you'll get to connect with other students, local scientists, and Adler Planetarium staff. Spend your summer at The Field Museum! Project SYNCERE partners with various educational, civic, and philanthropic institutions to provide students with an intensive summer engineering program that utilizes a hands-on exploration of engineering principles. Participating students have opportunities to work on various STEM projects such as Robotics, Electrical Circuit Design, and Renewable Energy. Youth ages 13 - 19 can submit an original t-shirt design, logo or slogan that promotes peace and love in the community now through April 26. The winning designer will receive $2,500 educational cash prize an Urban Apparel Mentorship with VILLA Clothing and other great prizes! Meet Neuroscientists from All Over the World!